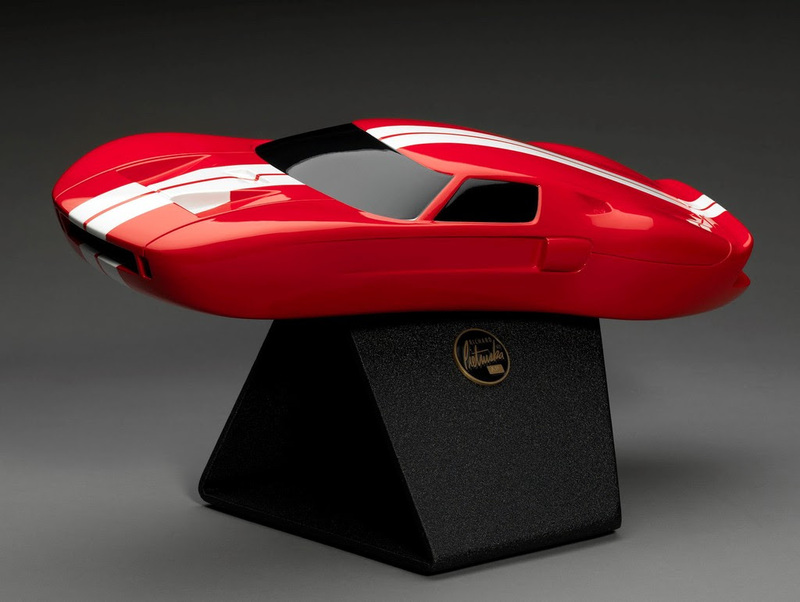 PEBBLE BEACH, Calif. – Aug. 05, 2016 – Automotive Fine Arts Society (AFAS) member Richard Pietruska will debut new elegantly designed automotive sculptures at the 2016 Pebble Beach Concours d’Elegance® on Sunday, Aug. 21, from 9:00 a.m. to 4:30 p.m. 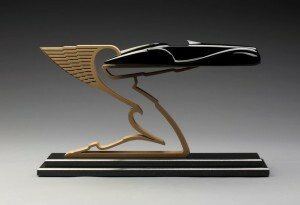 Using various materials, Pietruska combines modern art elements with the power and motion of beautiful automobiles. 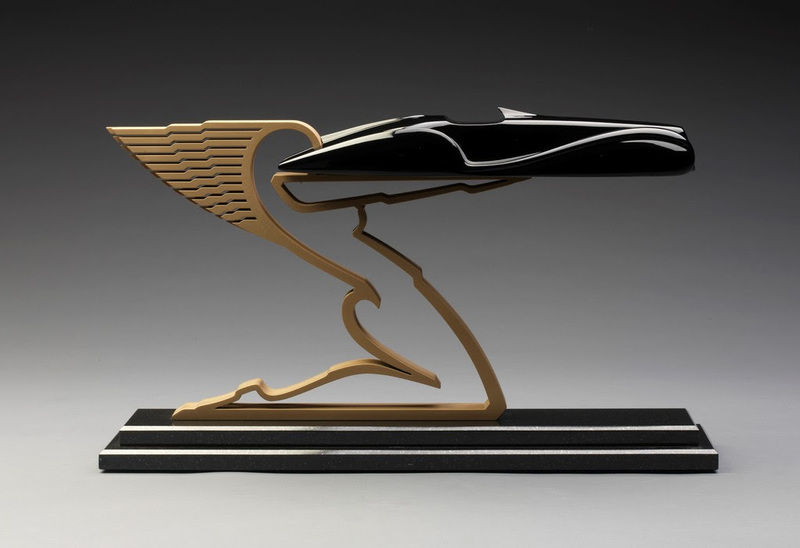 Sponsored by The Lincoln Motor Company, the 2016 AFAS exhibit at the 18th fairway of Pebble Beach Golf Links in beautiful Pebble Beach, California, will showcase the latest creations from the world’s finest automotive artists. In honor of Ford’s victories at this year’s Le Mans, Pietruska will unveil a sculpture of the 2017 Ford GT along with the 2005 model. These will be released in red, white and blue to celebrate the American win with the car at Le Mans this year. The “Sensual-oscity” series features three gorgeous bronze sculptures built on a black granite base. One titled, “Beauty with a Twist” captures the allure of a Delahaye that evolves into a curved woman’s body on the reverse side. 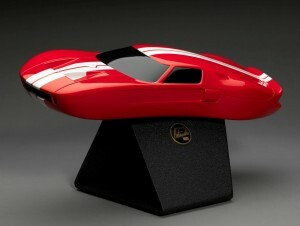 Another titled, “Classic Proportions” has a similar style with a horizontally rotary Delahaye. Finally, with a different take on sensuality, “Elegance and Grace” gives a sleek perspective of a Delahaye with the same class and sophistication as its French heritage. An award-winning artist and designer, Pietruska has worked in a variety of mediums including paintings, tapestries and for the last 18 years he has focused on sculpting. Pietruska has earned national accolades for his work, including the prestigious Peter Helck Award for three years consecutively and numerous Athena Awards of Excellence at the Pebble Beach Concours d’Elegance. With more than 40 years of teaching experience, Pietruska is a highly-respected professor in the Transportation Department at the Art Center College of Design in Pasadena, California. Today, many of his former students are now leading automotive designers in the U.S., Europe and Asia.